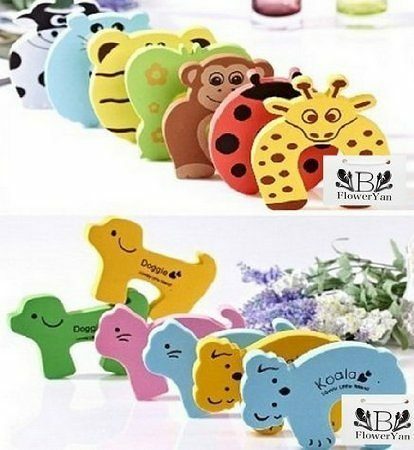 Adorable Set of Door Stop Finger Pinch Guards $1.92 + FREE Shipping! You are here: Home / Great Deals / Amazon Deals / Adorable Set of Door Stop Finger Pinch Guards $1.92 + FREE Shipping! If you have little ones in your house, you are probably like me – worried about pinched fingers in doors! Head over to Amazon and get this adorable set of Door Stop Finger Pinch Guards for just $1.92 plus FREE shipping!